Sunny skies, beautiful beaches, historical sites, delicious food eaten at outdoor cafés, art and culture—what’s not to love about the Mediterranean? And there’s no need to worry about feeling out-of-place on your family vacation because people in this Southern European region seem to genuinely love and welcome children. 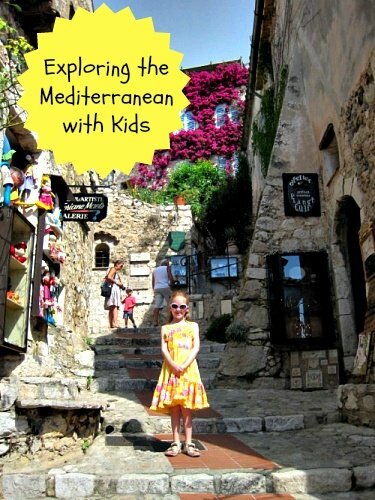 From Turkey and Greece to Italy and France; here are some tips for exploring the Mediterranean with kids. Turkey is fast becoming one of the most popular destinations in the Mediterranean. My family’s visit to Istanbul was an eye-opening experience; it was incredible to visit a place so different from our own North American home. The country is secular (with a predominantly Muslim population) and offers diverse geography, rich culture, ancient cities, tasty cuisine, and friendly people. The cosmopolitan city of Istanbul is located on the Bosphorus Strait, making it the only country in the world that straddles two continents, Europe and Asia. 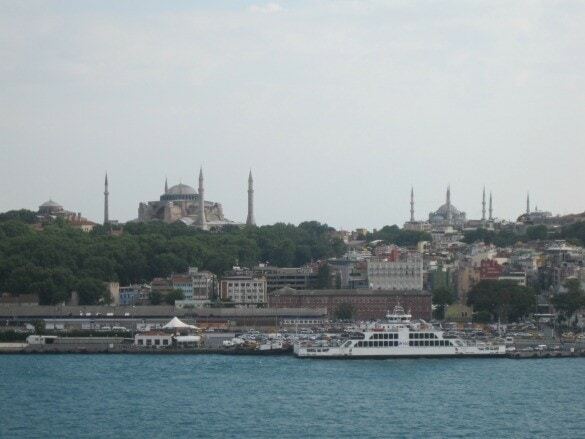 The skyline of Istanbul is dominated by the minarets of more than 3,000 mosques. Five times a day the mesmerizing sound of the muezzins echoes across the city, calling Muslims to prayer. Take children to the Grand Bazaar or the Spice Market to experience a shopping experience quite different from the shopping malls at home. To get a glimpse into the Muslim faith of Islam, visit the Blue Mosque or Hagia Sophia (first a Christian basilica, later a mosque and now a museum where children under 18 enter for free). 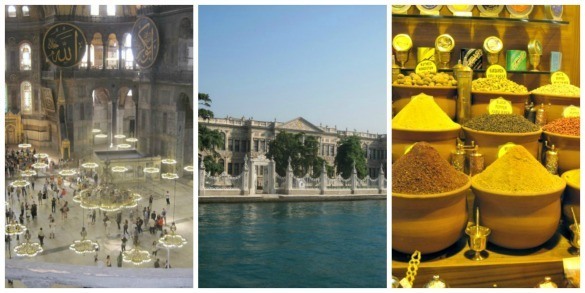 A visit to Topkapi Palace provides further understanding of Turkey’s varied history. Board a cruise of the Bosphorus to view both Europe and Asia at once. Finish up your explorations of Istanbul by climbing to the top of the Galata Tower for a panoramic view of the city. Outside the capital, visitors can relax at Turkish resort towns on the Mediterranean and Aegean Seas or explore ancient cities. 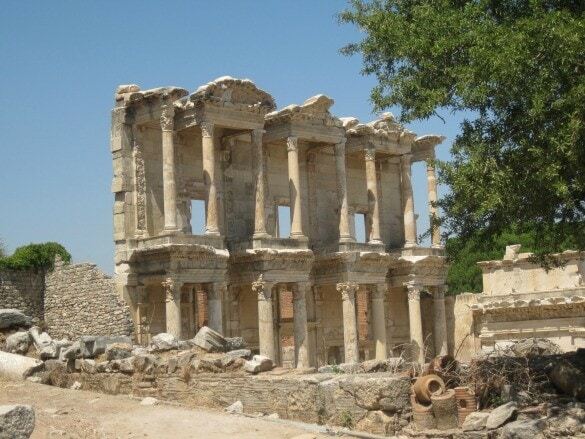 Many cruises dock in Kusadasi or Izmir from which passengers embark on tours of the nearby Ephesus. This ancient city is considered to be one of the best-preserved from the Roman era. Other popular sites in the area include the remains of the Temple of Artemis (one of the Seven Wonders of the Ancient World), the House of the Virgin Mary, and the Basilica of St. John. Mainland Greece, and the city of Athens in particular, is worth visiting with kids even in the summer when it’s hot and crowded. Athens is one of the oldest cities in the world and considered to be the cradle of civilization because of the global impact of its political and cultural achievements. 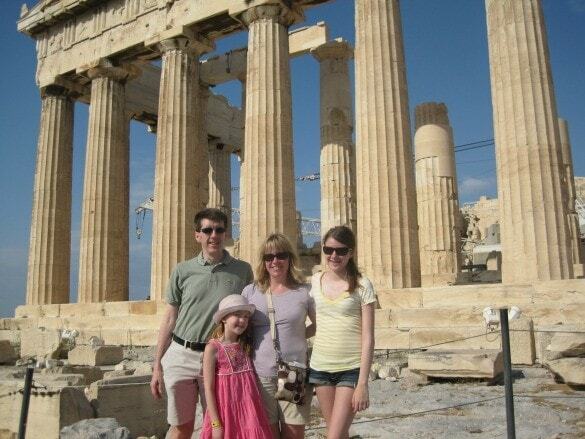 Children who have learned about ancient Greece in school and will be impressed to view the iconic temples in real-life. 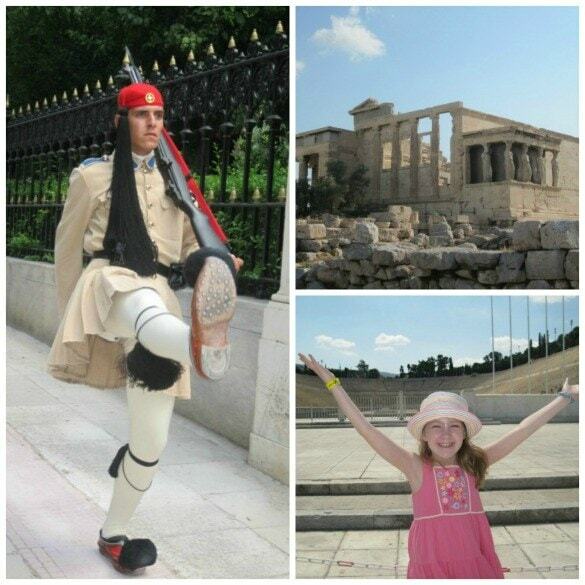 Even if young children have not yet studied Greek history in grade school, they will enjoy touring Athens, particularly if your kids are interested in Greek mythology. My younger daughter, 8 years old at the time of our visit, had just finished reading the Percy Jackson and the Olympians book series and couldn’t get enough of anything relating to the Greek gods. Even the steep climb to the Acropolis didn’t dampen her enthusiasm for seeing the Parthenon and the other ancient temples that have been standing for more than 2000 years. Ancient sites such as the Temple of Olympian Zeus and the Theatre of Dionysus will also appeal to history and mythology buffs. Sports fans will appreciate a stop at the Olympic Stadium, home to the first modern Olympics. The whole family will enjoy watching the Evzones in traditional uniforms conduct the unique Changing of the Guard ceremony outside the Parliament. The Plaka neighborhood is ideal for shopping and a bite to eat when your brood needs a break from sightseeing. There are many choices when it comes to the Greek islands and it’s fairly simple for visitors who want to experience more than one isle to hop on a ferry for transport. 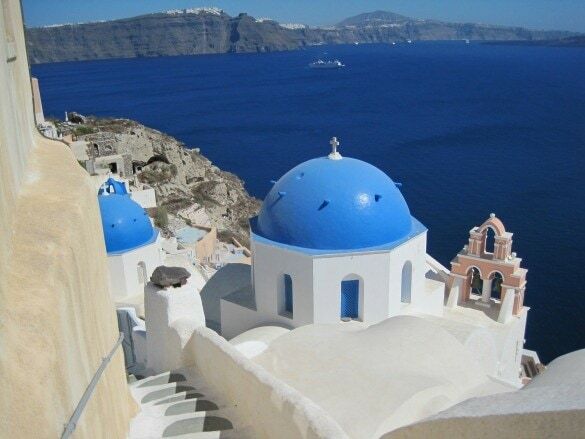 Islands such as Mykonos and Santorini, part of the Cycladic group of islands, are simply idyllic with the picture-perfect whitewashed buildings accented in blue to match the sea and sky. Greek islands provide an idea retreat for families craving a laid-back vacation where they play on beaches, explore shops on twisting side streets, and enjoy stunning sunsets. It would be difficult to find a country that is more family friendly than Italy. After all, this is the land of pizza, pasta and gelato! Visitors to Rome can explore the Roman Forum and the Colosseum and can even sign up for a class in gladiator training. While in Rome, families can also tour the Vatican Museums and see Michelangelo’s masterpiece in the Sistine Chapel for themselves during a visit to Vatican City. Of course, you must toss a coin into the Trevi Fountain to guarantee a return visit! 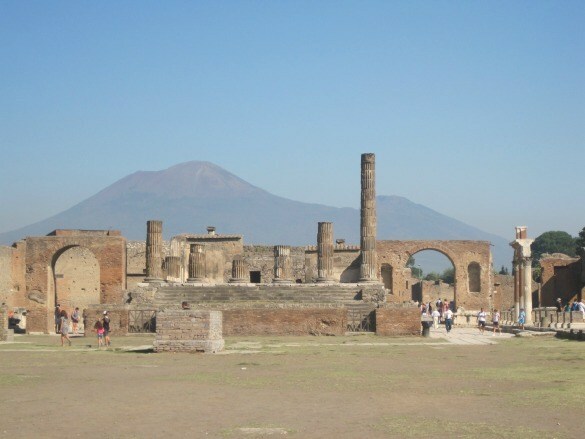 Families visiting Naples or the Amalfi Coast area can tour the UNESCO World Heritage Site of Pompeii, climb Mount Vesuvius, spend a day on the islands of Capri or Sardinia, or explore the coastal towns of Sorrento and Positano. In Sorrento, my family took a memorable pizza-making class in a restaurant’s kitchen where we assembled our own pizzas before baking them in the wood-burning oven. It was the best pizza that we had ever tasted. France’s Mediterranean coast is one of my favorite places in the world. This is France, so it goes without saying that the food is divine. 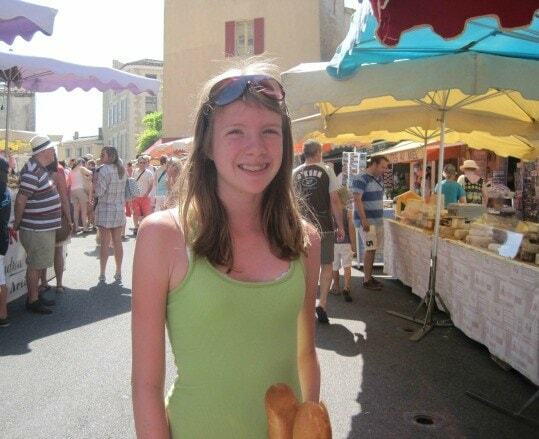 My girls would happily subsist on nothing but bread and cheese while on vacation here. Throw in a few olives and a glass of wine and I would be perfectly content as well. 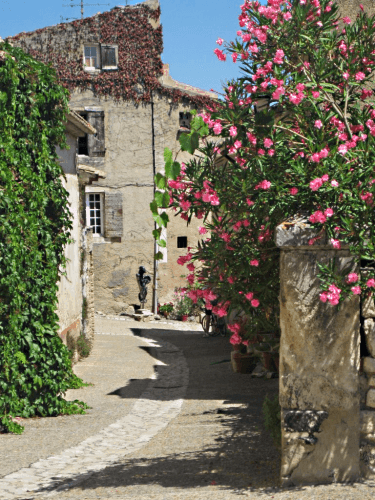 Families can happily spend days exploring the charming villages along the Mediterranean Sea and in Provence, shopping at local markets, and practicing their French. Of all the beautiful villages in the South of France, Eze-le-Village holds a special place in my heart. Perched along the Côte d’Azur outside of Nice, my husband and I spent part of our honeymoon in Eze and returned many years later to visit with our girls who loved it as much as we did. The village is accessible only to pedestrians who can wander the cobblestone pathways, shop at the charming boutiques, dine at cafés and restaurants, admire the panoramic views of the Mediterranean, and visit the hill-top botanical garden. The Mediterranean is a beautiful, diverse part of the world and an educational playground for families with children of all ages. There are so many countries, cultures, cuisines, and attractions to explore, you may find yourself returning again and again to this welcoming region. 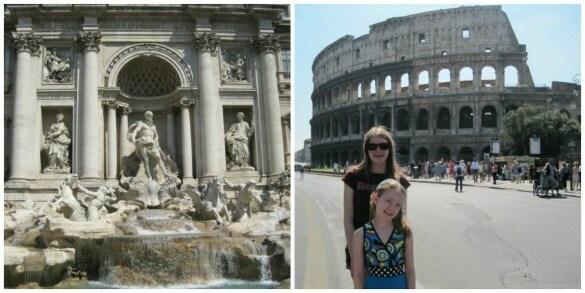 Have you visited the Mediterranean with kids? What is your favorite country or which country would you most like to visit in the Mediterranean? Let us know in the comments below! A Note from Travel Mamas: This post brought to you in partnership with Pegasus Airlines. All photos by Lisa Goodmurphy. 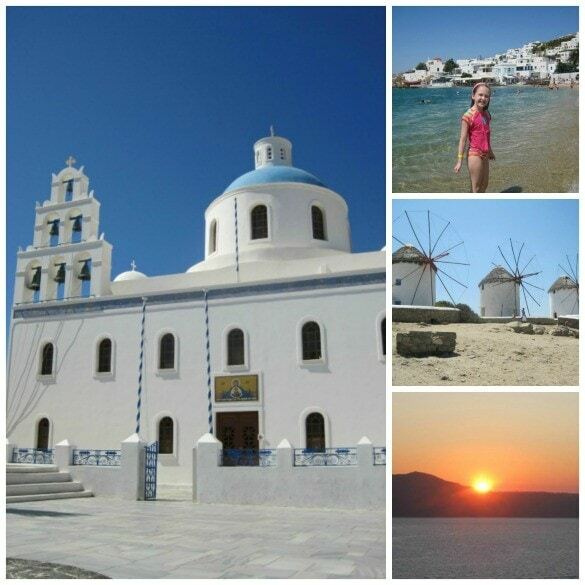 Lisa – You have me dreaming of a Mediterranean vacation now! I love France, Italy and Greece…all for different reasons. I have never been to Turkey, though, so that one tops my list of where I’d love to go someday! What an experience for the kids! I wish I could have done that when I was younger, it would be a life-changer. 🙂 Such an experience! I absolutely love Turkey, it is one of my favorite destinations and I feel very safe traveling there with my children.